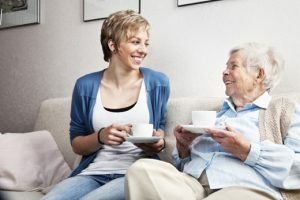 Leading Age Services Australia (LASA), the voice of aged care, has released survey data showing that maximum wait times for home care are often much longer than even the 12 months listed in the Government’s own figures. The data, based on a sample of 23 home care package (HCP) providers representing over 10 per cent of HCPs drawn from LASA’s national Membership, shows that wait times for consumers on the national queue are often much longer than those published on My Aged Care. “LASA recommends reducing HCP wait times to no more than three months from the time of assessment to the time an older Australian receives support in their home. LASA also recommends that all unspent HCP funds returned to Government should be recycled into additional HCPs, and the Department of Health should publish clearer guidance for both providers and consumers on appropriate uses of HCP funds. “We have suggested the Government spend an additional $500 million per year to meet the needs of the growing numbers of older Australians on the home care national queue. “The Government needs to make this commitment, along with a number of initiatives outlined in our pre-Budget submission, a priority in next week’s budget if it is serious about supporting older Australians to age in their homes. “Ending uncertain and unacceptable wait times for home care is a key part of the reason that LASA is urging all aged care providers, staff, clients and family members to say to their local candidates ahead of the upcoming election, “I Care for Aged Care”.